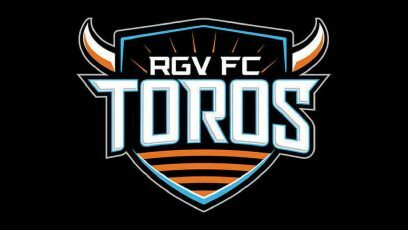 Traveling on the road to face an Orange County SC side that sits second in the Western Conference standings, the 15th-place RGV FC Toros notched a surprising 2-0 win on Saturday at Champions Soccer Stadium at OC Great Park in Irvine, California. RGV moves to 4-9-12 on the season, with 24 points to rank two places from the bottom of the Western Conference table. The win was the Toros’ first on the road this season. Orange County SC drops to 15-7-5 with 50 points. Matias Zaldivar scored RGV’s first goal in the 30th minute. He evaded a defender, dribbled the ball about 20 yards into the penalty area and fired into the bottom-right corner of the net. David Cabrera, making his first appearance for RGV FC, drew a foul just outside the top of the penalty box to set up the Toros’ second goal, which came in first-half stoppage time. Carlos Small took the free kick and rolled a stiff shot into the right side of the net. Houston Dynamo assignment player Tyler Deric started in goal for the second time this season for RGV FC, keeping his first clean sheet with seven saves. The Toros return to action with a home match Wednesday against San Antonio FC.